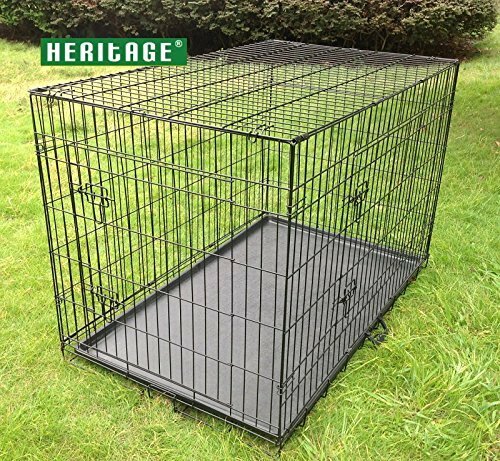 Heritage Dog Puppy Cage Folding 2 Door Pet Crate Black S M L Xl 24" 30" 36" 42"
This Heritage dog cage with double doors is suitable for all kinds of pets, especially dogs. It is easy to use in many locations and also fits in the back of the car. It keeps your dog secure and comfortable in the car and is great if your dog wants quiet time at home. Also suitable for puppy training. These cages are easy to fold flat and also include a safe carry handle. 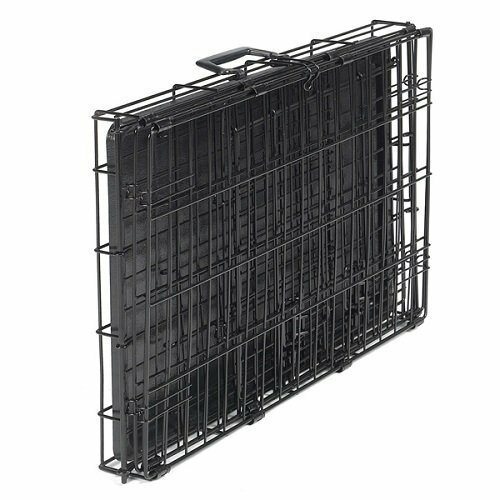 The cage comes complete with a heavy duty black tray which can be removed, carry handle and secure fastening. Each cage has soft round corners for extra safety when handling. ISO 9001 Certified Manufacturer. Note: Your dog should be allowed to get used to the Heritage Dog cage slowly so that it is a positive experience. Never use the cage to punish your pet. Your dog should feel that it is in a safe and protected environment. 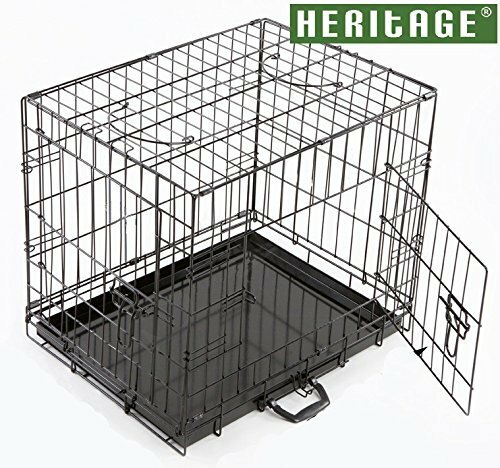 Like ALL dog cages, The Heritage Dog Cage should only be used on a temporary basis. It is not suitable as a long-term home or as a means of training for dogs with behavioural problems! Genuine Heritage Trademarked Product. 2 Door Folding Dog Crate. Folds flat for easy storage and transportation. Two sliding latch mechanisms on each door to secure the cage Various Sizes Available Safe removable tray for easy cleaning.